The magazine is fully interactive, allowing you to flip through the pages, click on any underlined area to visit a website or send an e-mail, search to find content in the magazine, or share pages with your friends. 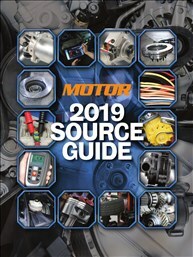 You can click on the front cover to start viewing MOTOR Magazine Digital Edition. Enter your email below and press the button to retrieve your security question. Having trouble? here to contact us. To view any previous 2008-2019 issues not shown below, open the current issue and click on the Archive link in the tool bar to access them.